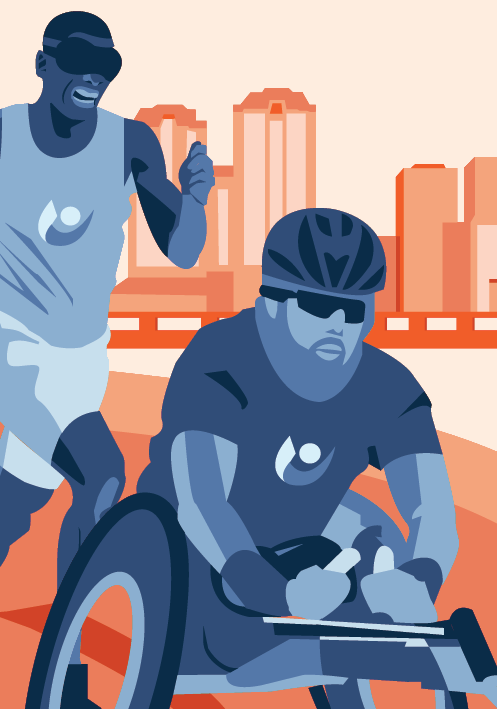 Sportable is a non-profit located in Richmond Virginia that is dedicated to providing resources and community to disabled athletes. After volunteering design work for the past few years, they asked me to design a mural for the outside of their headquarters. The design is meant to represent the three main areas of disability Sportable provides services towards: amputees, the visually impaired, and those in wheelchairs.